What's new in your community, look no further I can assist you with all of your real estate needs. Making Real Estate "Crystal Clear"! Looking for a home in Shreveport, Bossier City, Benton, and Mansfield and more use my property finder. Crystal grew up in the Shreveport-Bossier City area, as the third of five girls in her family, and the daughter of a retired Air Force father. She is a wife and the proud mother of one son. Crystal is a member of the American Legion and the International Council for Corvettes Club. She has a love for traveling, fitness, nutrition, and motorcycling. She received her Masters in Human Services Administration from Louisiana State University in Shreveport, Louisiana. 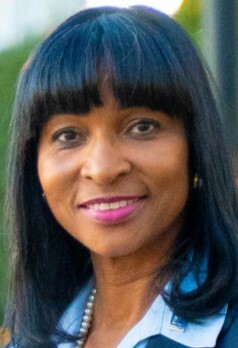 Crystal has over 20 years experience in business management, coordinating fundraising campaigns, financial analyses and grant writing, also over 3 years as a substitute teacher for the Caddo Parish School Board. As a real estate agent of 5 years, nothing is more exciting for Crystal than the gratifying feeling she gets from helping people meet their real estate needs. You can count on her to always do what's in your best interest. As a new Realtor, she understands why having the right agent who is committed to helping you buy or sell your home with the highest level of expertise in your local market. This means also to help you in understanding each step of the buying or selling process. This commitment level has helped her build a remarkable track record of delivering results. Whether you are an experienced investor or a first-time buyer, Crystal can help you in finding the property of your dreams, Crystal makes Real Estate "Crystal Clear". Crystal Blow helped me with finding a new home three years ago. I decided it was time to move and we listed my current home and there was an offer on it and I am scheduled to close in September. Thank you, Crystal!